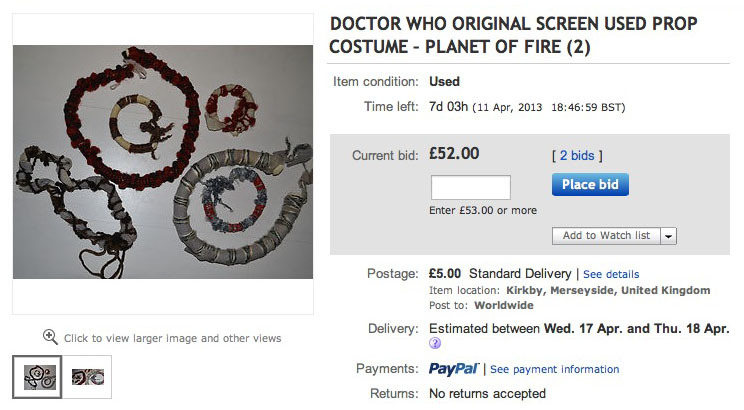 A few more original costume pieces from the Fifth Doctor era have popped up on eBay. This is a Sarn Elder costume from the 1984 Doctor Who story Planet of Fire. It comprises a long smock, head scarf and various woollen bangles and neckties. 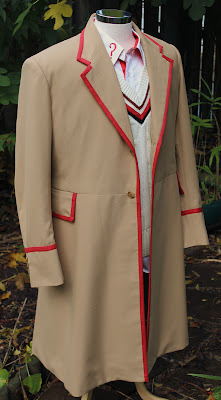 It is a basic and functional outfit in remarkably good condition – mainly because it has been in a cupboard for over ten years! I purchased the item from a well known collector in 2002 and have never got round to displaying it. A tag with “Elder ‘Dr. 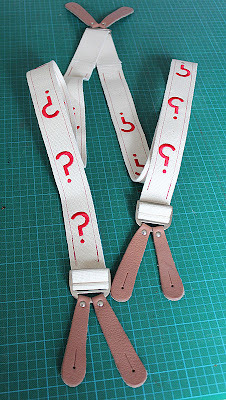 Who’” written in blue biro is attached inside the head band. 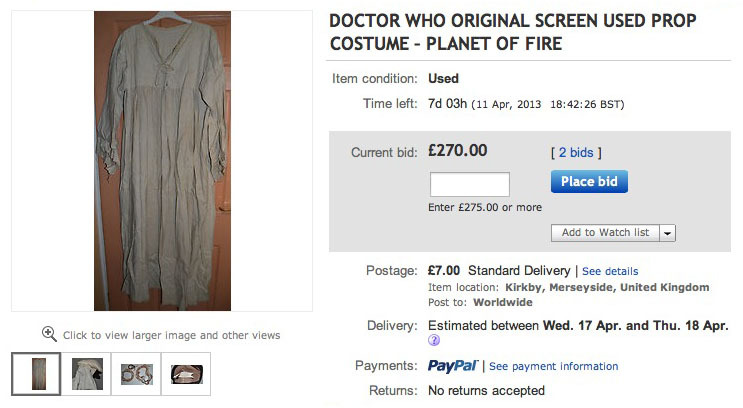 The whole costume comes in a clear plastic bag with a BBC Wardrobe logo. This is part of a Sarn female costume from the 1984 Doctor Who story Planet of Fire. 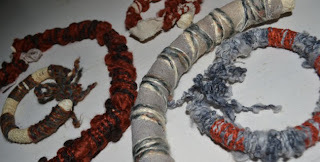 It comprises three necklaces and three bracelets, all made from a gauze-like material and wool. Some considerable effort was put into the background costumes for this story and the attention to detail shows in these pieces. They would make a brilliant conversation piece if displayed in a simple picture frame.